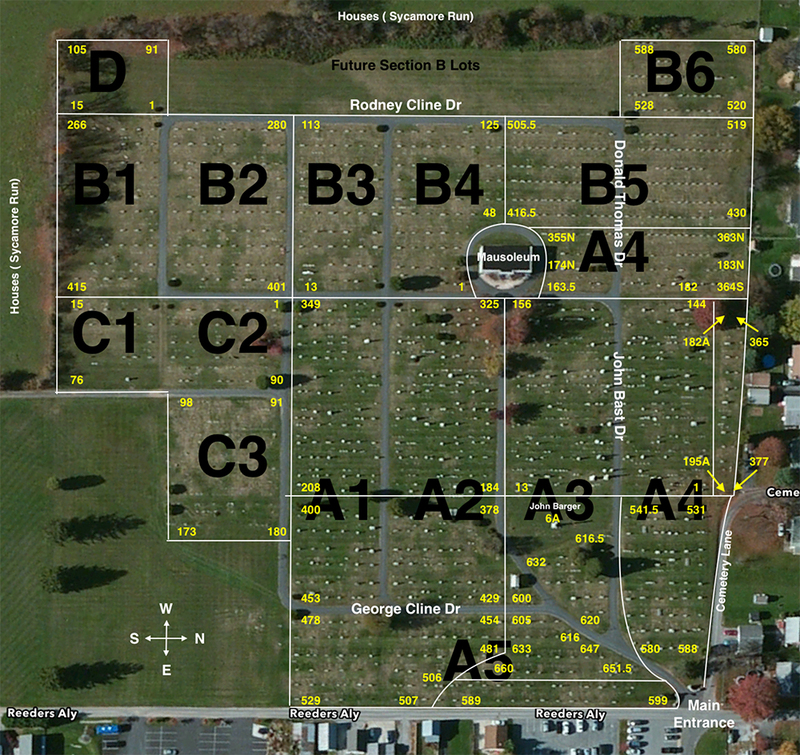 *Note: once you have identified the Section and Lot number, please refer to links below the search results for a map of each section. 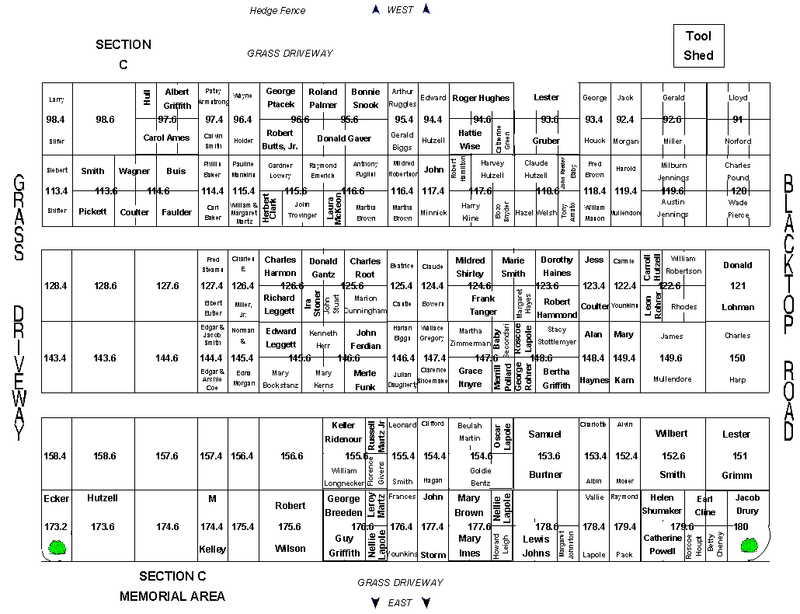 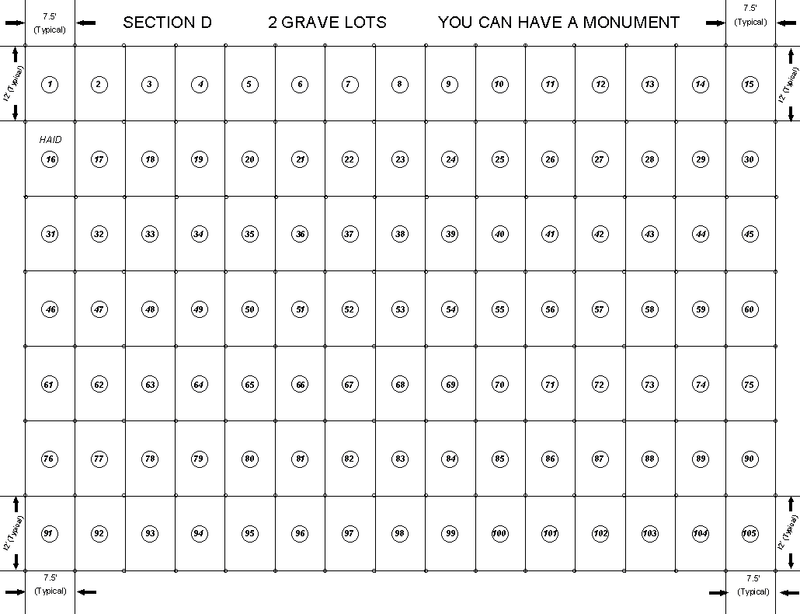 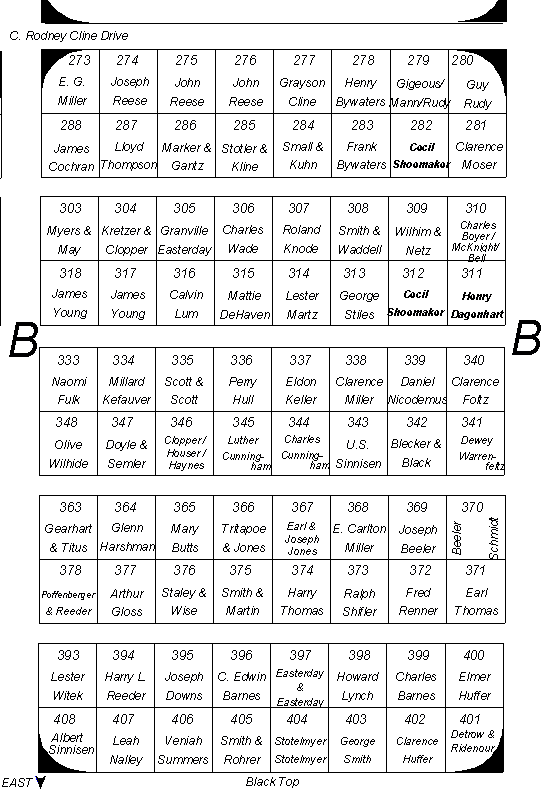 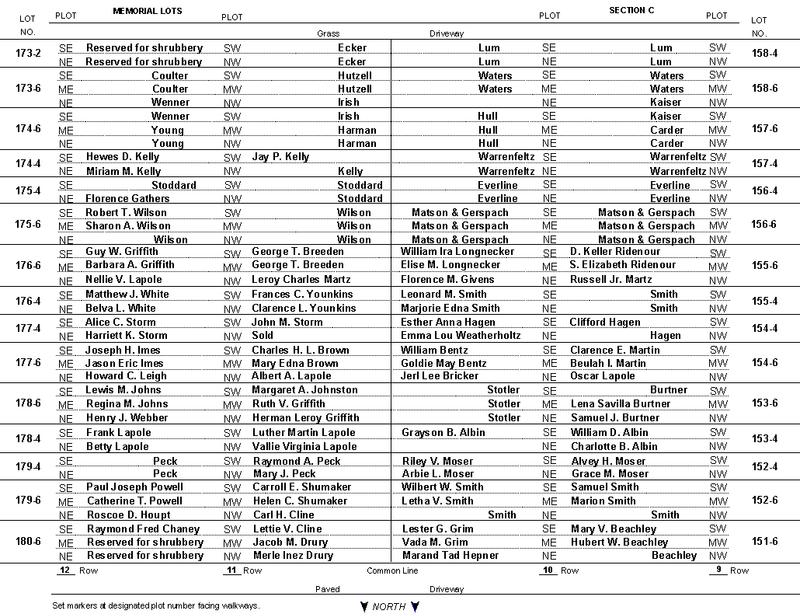 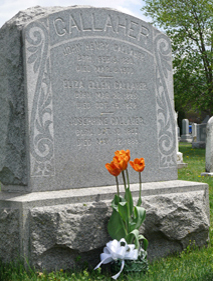 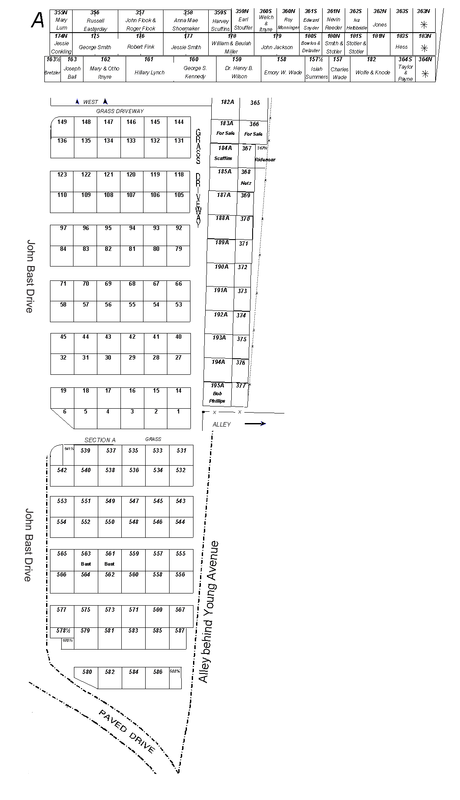 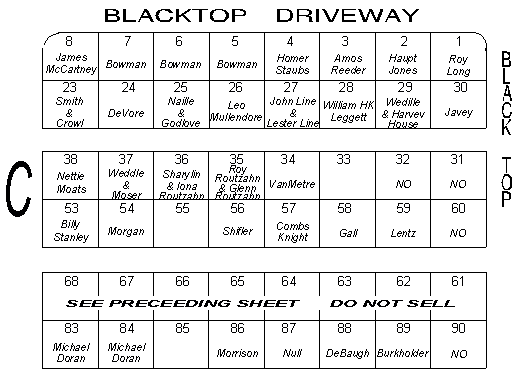 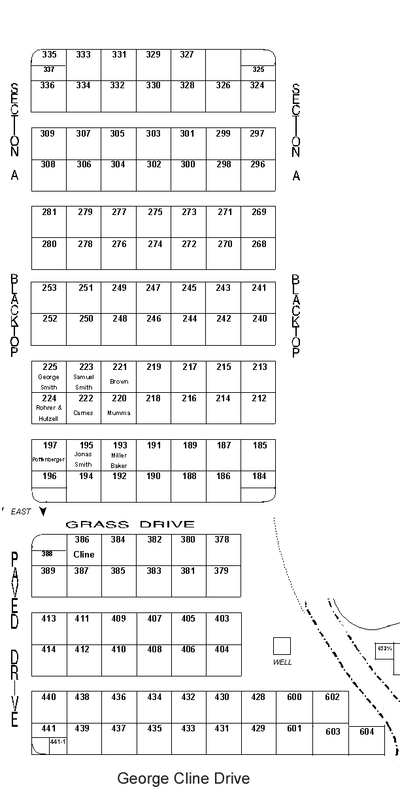 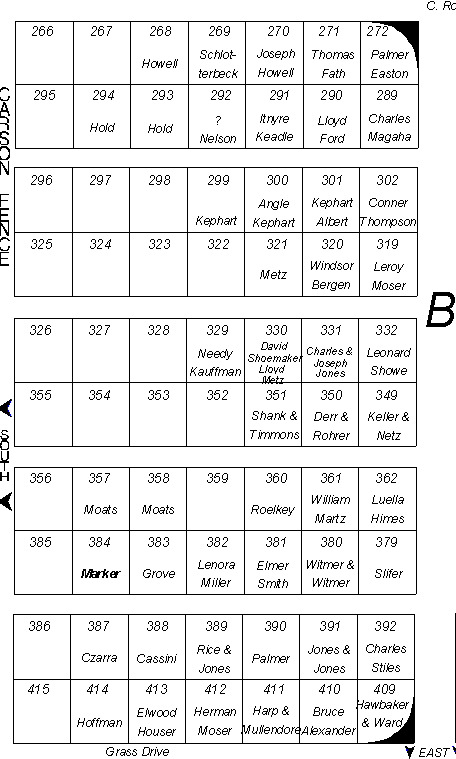 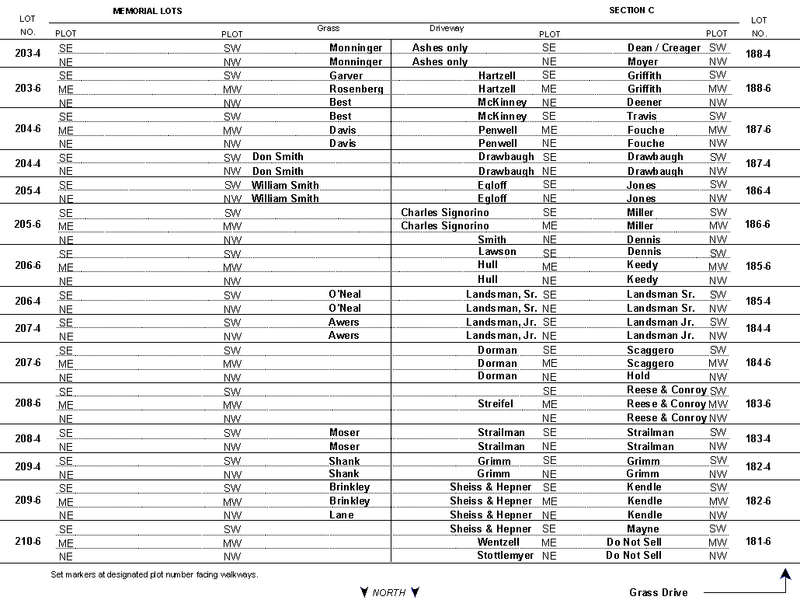 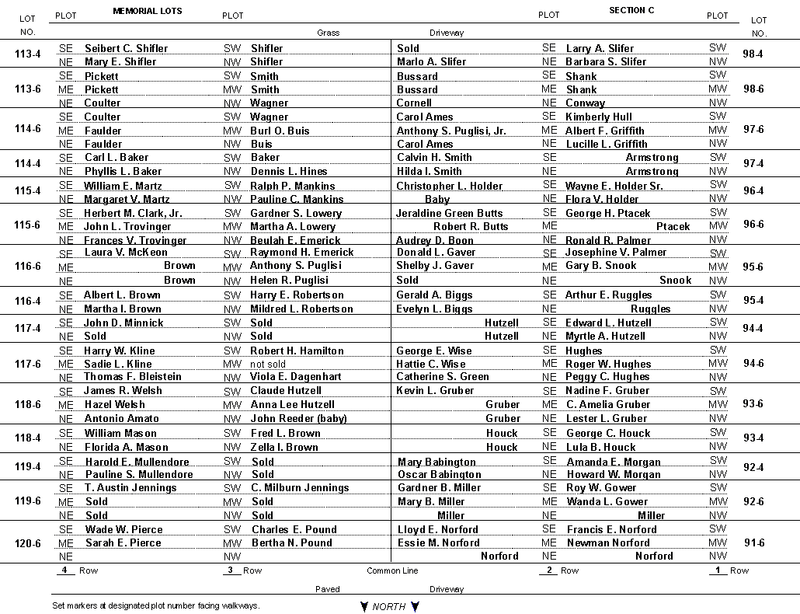 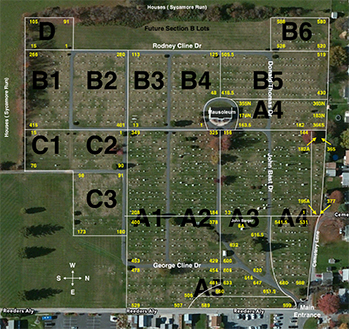 Cemetery Map by Section - Click for grave sites by section letter below. 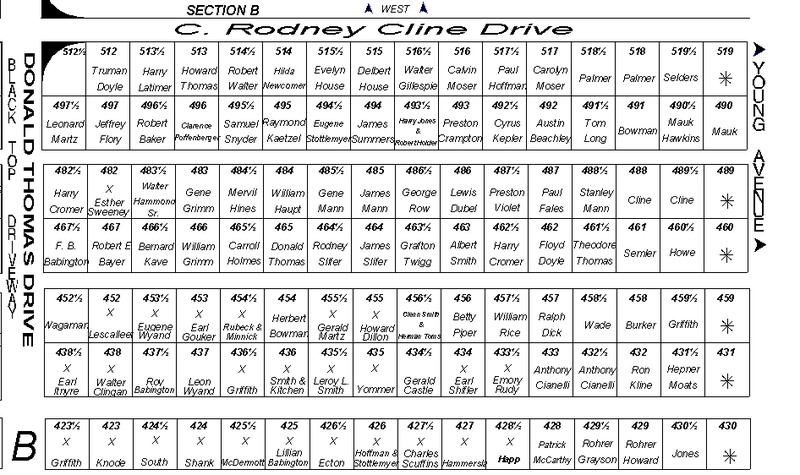 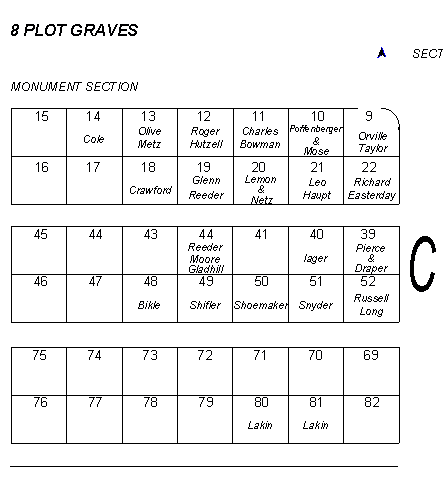 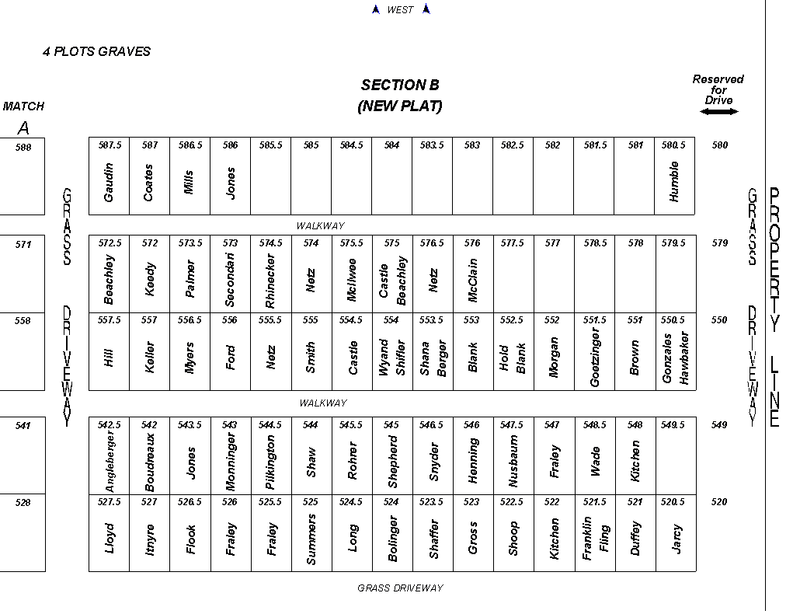 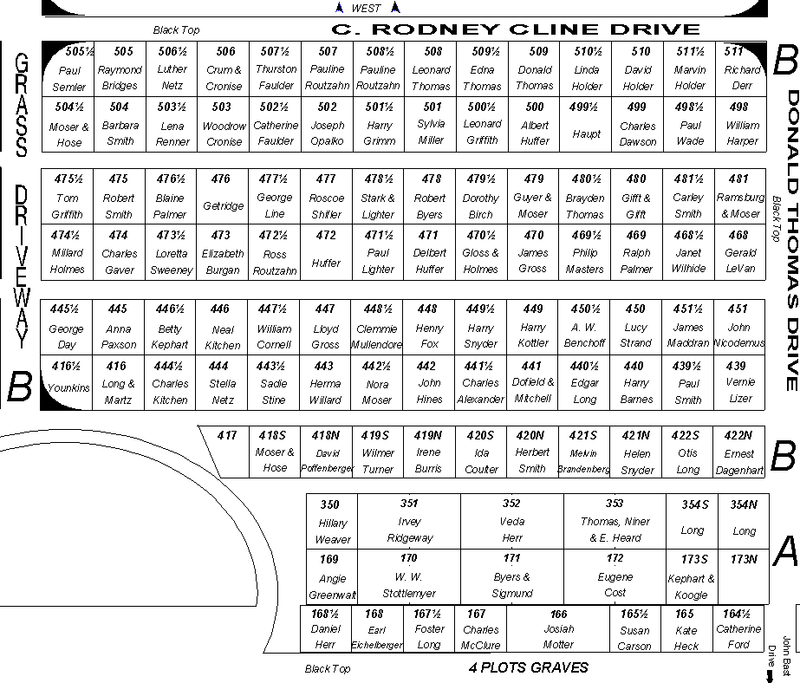 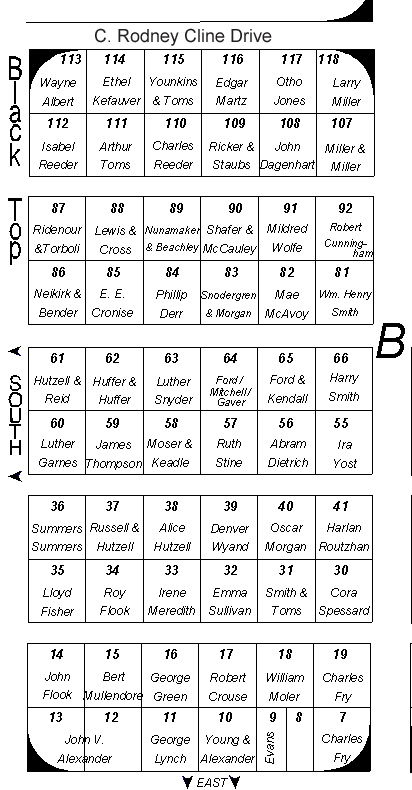 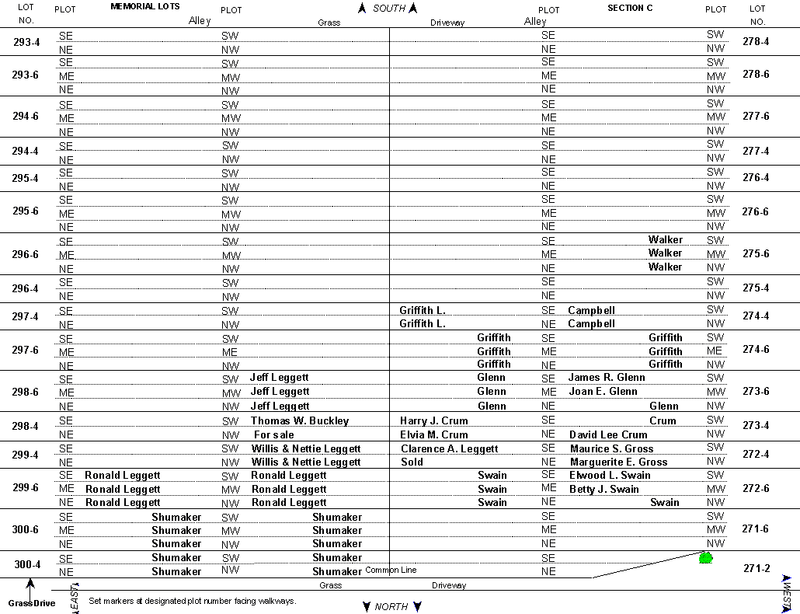 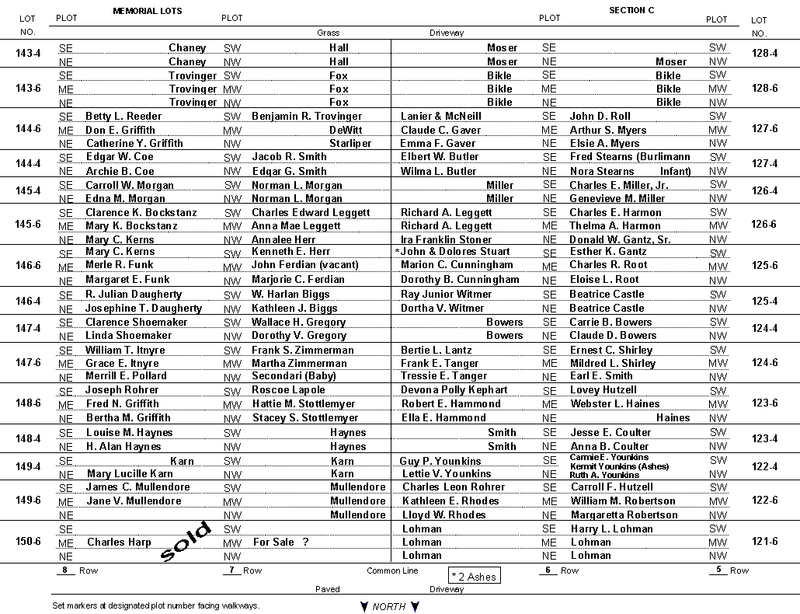 Each section map includes lot numbers to identify specific graves. 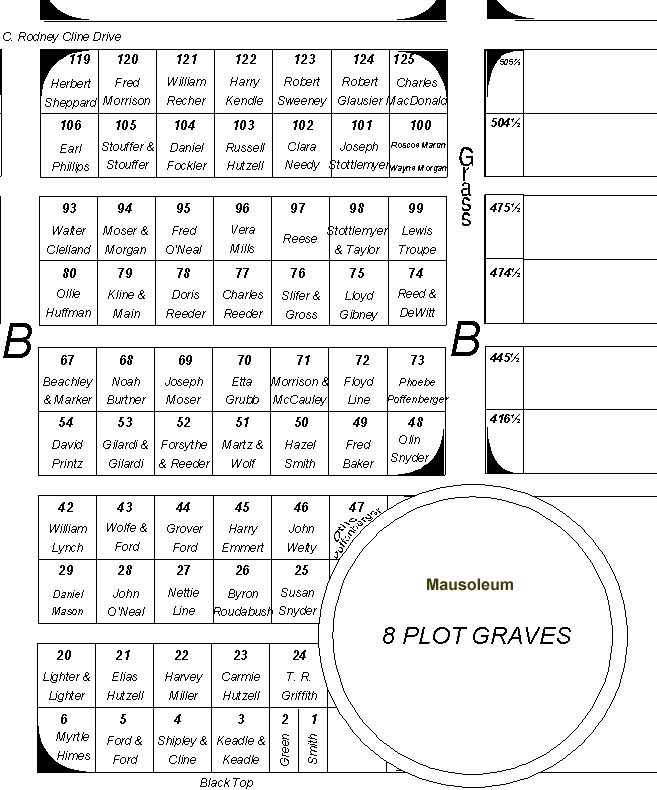 Click here for mausoleum entombment records by name, cript, date of death and date of birth.